A mysterious substance known as Ormus – aka ORME, White Powder Gold or simply White Gold – is said to be yet another secret method used by those in the ‘know’ to increase intelligence. As it has been said to balance both hemispheres of the brain and therefore allow for whole brain learning, Ormus is being consumed the world over by people who are looking for safe and legal ways to increase their IQ. And the numbers using it are increasing every day as more and more people hear about it. However, increasing IQ is said to be just the tip of the iceberg when it comes to this unusual scientific discovery which, we admit, sounds like something out of an episode of The X-Files. Few mainstream scientific studies have thus far been conducted on the strange substance known as Ormus. But even if a tenth of what proponents of White Gold say is true, the potential for humanity is remarkable. Preliminary studies have shown it to assist in a variety of diverse fields including agriculture, engineering and aeronautics. For example, small studies have been conducted by universities to evaluate Ormus’ effects on various fruits and vegetables, and the results are impressive. Farmers and growers worldwide have also reported increased growth in crops, nuts, fruits and vegetables as a result of using Ormus. Of course, it’s the superconductor’s effects on the human brain that we shall concentrate on in this chapter. Aiding memory, assisting mental wellbeing, helping students achieve better grades, improving eyesight and correcting damaged DNA are but a few of the astonishing claims surrounding the substance. Ormus test results are apparently off the charts and defy the laws of science. White Gold experts explain this by saying the substance exists in the realms of quantum physics and hyperdimensional theory. Skeptics, however, say Ormus more appropriately exists in the twilight zone and its benefits are nowhere near conclusively proven. Consumers of the little known substance, which is created in different forms by hundreds of commercial manufacturers worldwide, come from all sectors of society. Examples range from elite athletes looking for legal performance-enhancers to terminally ill people seeking alternative cures for illnesses modern medicine cannot cure to Fortune 500 CEOs attempting to get a mental advantage over competitors; A-List Hollywood stars are also among those who regularly ingest Ormus. Ormus was discovered in 1975 by David Hudson, an Arizona cotton farmer and wealthy businessman. Hudson came across the substance while conducting analysis of natural resources on one of his farms in Arizona. He ended up devoting his life and millions of dollars to researching the strange substance, which he linked to Biblical and ancient Egyptian alchemy. It was an unusual-looking white powder that the farmer discovered by chance. When he put the powder out to dry in the hot Arizona sun, it radically changed – from powder to oil! After conducting scientific analysis of the substance, Hudson (at left) confirmed it seems to have odd properties that defy the laws of nature. For example, Ormus’ elements, which include gold, copper and iron, frequently morph into other elements and the substance becomes an electromagnetic superconductor under certain conditions. Hudson claimed to have knowledge of secretive Government-funded studies of Ormus. He said these experiments took place in laboratories throughout the US and in the Soviet Union in the 1980’s. If such experiments did take place, they’ve never been made public. In the late 1980’s, Hudson was issued a British patent by the UK Intellectual Property Office for the Ormus product he formulated from his initial discovery. At the same time, he coined a term for the exotic elements he patented – Orbitally Rearranged Monoatomic Elements, or ORME. Shortly thereafter, Hudson was informed he no longer had the patent. He claims no clear reason was given and, soon after that setback, he received a visit from the US Department of Defense. Hudson then enigmatically became reclusive and made few if any public appearances for about 20 years. Nor did he make any comments about Ormus during that period. Only in the last two to three years has he ventured into the public arena again, giving lectures about his discovery. Ormus is a complex concentrate of chemical elements. Besides gold, it contains a number of other metals including rhodium, iridium, copper and platinum. These metals are said to exist in the monoatomic state, or m-state – an unusual high-spin state of matter where metals don’t form bonds or crystals but remain single atoms. Incidentally, Ormus’ non-scientific name White Powder Gold refers to the fact that when processed its appearance is reminiscent of cocaine powder. M-state elements are naturally abundant in seawater, and the pure sea salt in seawater is said to be responsible for these rare, high-spin particles. Ormus’ properties are also said to be present in most rocks as well as in trees. In addition, various researchers have independently claimed to have found Ormus elements embedded in the DNA structure of animals and plants as well as in humans’ skin, nails, hair, blood, brain and, indeed, in all the organs. Different methods for obtaining Ormus elements have been devised in recent years – the easiest and most common of which involves combining ocean water, lye water and distilled water in the right fashion. This method is said to be so simple it can be done by anyone in their own home. Supposed formulas, or recipes, have been posted on various websites online. However, it’s not clear whether these formulas lead to the same Ormus elements as those David Hudson discovered. As mentioned, Ormus is often taken in an attempt to improve a person’s intelligence and overall brain health. In its powdered form, it’s usually ingested sublingually, or under the tongue. When taken this way, it goes straight into the bloodstream, which affects the body’s entire system, including the brain. Alternatively, in its liquid state, White Gold can be drunk as a potion or else applied topically to the skin. Not long after he discovered Ormus and began analyzing it, David Hudson said the substance could repair the body on a genetic level. Proponents also say the substance can correct errors in the DNA and even activate Junk DNA. Claims that Ormus activates Junk DNA. Lt. Frego goes on to surmise that Ormus also causes increased melatonin from the pineal gland, which can result in, among other things, better sleep, heightened alertness and many other mental benefits. It’s worth mentioning that most commercial manufacturers of Ormus have numerous testimonials from customers. Testimonials on the manufacturers’ websites claim cures for all sorts of serious illnesses, including mental disorders, diabetes, heart disease and osteoporosis. Various anti-aging results have also been reported. Again, though, it should be stressed none of these mental benefits or any other health benefits have been conclusively proven scientifically. It’s anybody’s guess whether satisfied Ormus users experienced the placebo effect or whether there simply haven’t been enough mainstream studies conducted to support users’ claims. Since its discovery, White Gold has been used by a raft of Hollywood stars. It’s especially popular with middle-aged starlets – not surprising given the substance’s purported anti-aging benefits and the fact Hollywood is notorious for casting young, or at least youthful-looking, actresses for most major roles. But it may also be the intelligence-boosting claims that have attracted certain film stars to the substance. Gwyneth Paltrow is probably the most vocal Ormus user in the Hollywood community. lchemical Elixirs, which also lists Jennifer Aniston and Audrey Tautou among its clients, is just one of many Ormus manufacturers and suppliers that names film stars, business executives, top sportsmen and famous musicians among its customers. For around US$100 or less you can try Ormus for yourself by ordering it direct from any one of the various commercial enterprises that manufacture or supply it. It appears the manufacturers all use different formulas and, in the tradition of alchemists, those formulas for the most part seem to remain secret. Any mainstream studies into Ormus will be worth keeping an eye on. For the time-being, however, the substance remains shrouded in mystery and it’s very hard to find the truth amongst the hype. This task is not made any easier with all the quasi-science commercial manufacturers are using to support their claims. No doubt the composition of their products is far removed from the properties of farmer Hudson’s original discovery. If you are thinking of purchasing a batch of Ormus, there are a couple of things to keep in mind. Besides the stunning testimonials surrounding White Gold, it’s worth noting numerous users have also reported taking it and noticing no tangible results. So it’s a case of buyer beware and always consult your doctor. 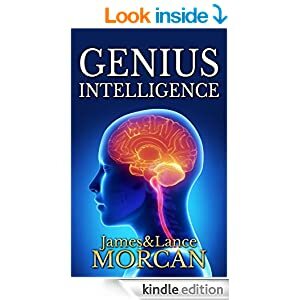 To view the discussion thread on genius intelligence (the phenomenon) in our ‘Underground Knowledge’ group on Goodreads check out: https://www.goodreads.com/group/show/142309-29-conspiracy-theories—a-discussion-group >>> Everyone’s welcome! When Arizona cotton farmer David Hudson came across an unusual-looking white powder while conducting analysis of natural resources on one of his farms back in 1975, he couldn’t possibly have known the significance of his discovery. Hudson, who was also a wealthy businessman, wasn’t to know he’d end up devoting his life and millions of dollars to researching the strange substance he’d found. When he put the powder out to dry in the hot Arizona sun, it radically changed – from powder to oil! David Hudson (above); his discovery (below). The substance Hudson had found was Ormus– aka ORME, White Powder Gold or simply White Gold– a complex concentrate of chemical elements. Few mainstream scientific studies have thus far been conducted on the mysterious substance. 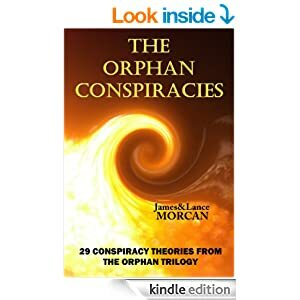 But even if a tenth of what proponents of White Gold say is true, the potential for humanity is remarkable – as we discovered when researching our book THE ORPHAN CONSPIRACIES: 29 Conspiracy Theories from The Orphan Trilogy. Ormus has been shown to balance the hemispheres of the brain and therefore accelerate learning speeds. But that’s just the tip of the iceberg when it comes to this unusual scientific discovery which, we admit, sounds like something out of an episode of The X-Files. In book two of our international thriller series The Orphan Trilogy we refer to how daily consumption of Ormus assists the orphans in every facet of their life, from enhancing mental alertness to developing physical strength and endurance to promoting good health. Ormus…packaged and ready for market. Few mainstream scientific studies have thus far been conducted on the mysterious substance. But even if a tenth of what proponents of White Gold say is true, the potential for humanity is remarkable. After conducting scientific analysis of the substance, David Hudson confirmed it seems to have odd properties that defy the laws of nature. For example, Ormus’ elements, which include gold, copper and iron, frequently morph into other elements and the substance becomes an electromagnetic superconductor under certain conditions. 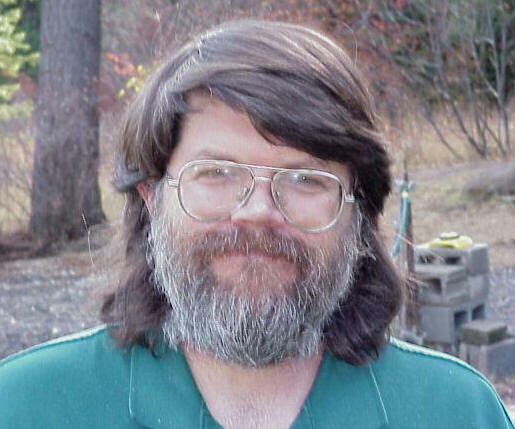 Hudson claimed to have knowledge of secretive Government-funded studies of Ormus. He said these experiments took place in laboratories throughout the US and the Soviet Union in the 1980’s. If such experiments did take place, they’ve never been made public. Shortly thereafter, Hudson was informed he no longer had the patent. 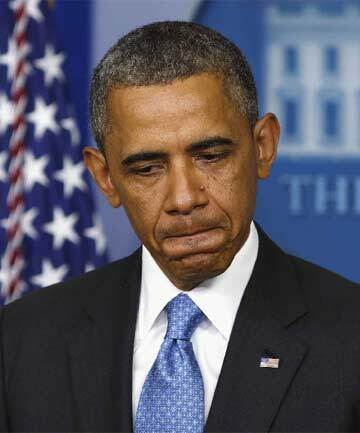 He claims no clear reason was given and, soon after, he received a visit from the US Department of Defense. Ormus – aka ORME, White Powder Gold or simply White Gold – has been shown to balance the hemispheres of the brain and therefore accelerate learning speeds. But that’s just the tip of the iceberg when it comes to this unusual scientific discovery which, we admit, sounds like something out of an episode of The X-Files. White Powder Gold aka White Gold…either is appropriate. However, it is the superconductor’s effects on humans that have prompted most interest. Slowing aging, assisting mental wellbeing, replacing gray hair, improving eyesight, re-growing missing teeth, increasing body immunity and correcting damaged DNA are but a few of the astonishing claims surrounding the substance. Consumers of the little known substance, which is created in different forms by hundreds of commercial manufacturers worldwide, come from all sectors of society. Examples range from sportsmen looking for legal performance enhancers to terminally sick people seeking alternative cures for illnesses modern medicine cannot cure. A-List Hollywood stars are also among those who regularly ingest Ormus. It was an unusual-looking white powder that the farmer discovered by chance on his farm. When he put the powder out to dry in the hot Arizona sun, it radically changed – from powder to oil! After conducting scientific analysis of the substance, Hudson confirmed it seems to have odd properties that defy the laws of nature. For example, Ormus’ elements, which include gold, copper and iron, frequently morph into other elements and the substance becomes an electromagnetic superconductor under certain conditions. Ormus aka White Powder Gold. M-state elements are naturally abundant in seawater, and the pure sea salt in seawater is said to be responsible for these rare, high-spin particles.Ormus properties are also said to be present in most rocks as well as trees. In addition, various researchers have independently claimed to have found Ormus elements embedded in the DNA structure of animals and plants as well as in humans’ brain, skin, nails, hair, blood and in all the organs. In 2003, US citizen Dana Dudley found a stray male cat which she named Tut. Dudley adopted Tut and allowed him to sleep on the back porch of her home. Later, Tut’s tail was cut off in an accident. Dudley, who happened to be an Ormus user, decided to treat Tut with the substance to see if it would help the injured cat. Every day, she placed Ormus in Tut’s food and also hand-fed some to him. It wasn’t long before she was able to report that Tut had begun growing a new tail. In 2007, Dudley posted before-and-after photos online of Tut. In the latest photos, the cat’s tail looked normal and appeared to have completely regenerated. These before-and-after photos have been shared and reposted on various websites, and they remain online for all to see. As of writing, Tut is still alive and Dudley reports he is a very happy and active cat. As mentioned, Ormus can be taken in order to improve a person’s health. In its powdered form, it’s usually ingested sublingually, or under the tongue. When taken this way, it goes straight into the bloodstream. Alternatively, in its liquid state, White Gold can be drunk as a potion or else applied topically to the skin. Not long after he discovered Ormus and began analyzing it, David Hudson said the substance could repair the body on a genetic level. Others have since postulated that Ormus is a universal cure for all forms of disease, including cancer and AIDS. Proponents also say the substance can correct errors in the DNA and even activate Junk DNA. Claims that Ormus can activate junk DNA…unproven. Again, though, it should be stressed none of these health benefits have been proven scientifically. It’s anybody’s guess whether Ormus users experienced the placebo effect or whether there simply haven’t been enough mainstream studies conducted to support users’ claims. Gwyneth Paltrow a vocal Ormus fan. Alchemical Elixirs, which also lists Jennifer Aniston and Audrey Tautou among its clients, is just one of many Ormus manufacturers and suppliers that names film stars, business executives, top sportsmen and famous musicians among its customers. Actress Audrey Tautou another Ormus user. Following on from the suppressed science covered in chapter 7, there have been rumors the Ormus that the public has access to is not the same as that which David Hudson discovered. The elements in the White Powder Gold that he discovered were said to become invisible at times, whereas nothing that radical appears to have been reported by Ormus users who source their product from known suppliers. No customers have disappeared that we know of! If it’s true there’s a suppressed and more powerful type of Ormus, it probably relates to the top-secret lab experiments Hudson claimed the US and Soviets conducted in the 1980’s. In The Orphan Factory we refer to a conspiracy theory which claims the US Military tested Ormus extensively. This theory contends that the Military Industrial Complex observed that the substance exhibited a cloak of invisibility, and signals in its presence were corrupted. 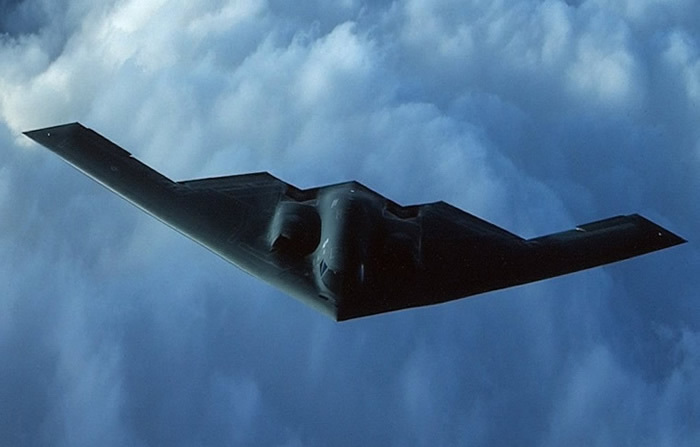 Rumors the US Military can render its planes invisible using Ormus…also unproven. Nine, our novel’s young hero, escapes from his masters by using Ormus to avoid radar detection. But that’s another story. Some say Ormus is the elixir of life that ancient peoples spoke of and that was lost to Mankind for several thousand years. Apparently, the Ancients variously referred to the precious powder as, among other things, the Fruit of the Tree of Life, the Gold of the Gods and the Philosopher’s Stone. The mythical elixir of life was said to be a substance that would maintain life, or at least eternal youth, indefinitely. It has been said that the elixir of life was sought by alchemists for many centuries after it was lost. Subscribers to this theory say the Ancients had recognized this substance would cure all diseases and enable extraordinary life-spans for humans. There have been rumors in conspiracy circles that Ormus was found in the King’s Chamber of the Great Pyramid of Giza in Egypt. But again, this is not remotely proven. By the way, we had to insert the italicized disclaimer above for legal purposes – such is the litigious nature of our society! A book that’s for the common people. This week’s review of our coming-of-age spy thriller The Orphan Factory (The Orphan Trilogy, #2) in Chicago web publication Gapers Block has thrown the spotlight on Chicago. Chicago, the ‘City of the big shoulders’ as hometown poet-made-good Carl Sandburg once called it, is home to the twenty-three orphans who are raised in Chicago’s Pedemont Orphanage. It’s not just any orphanage. It’s home to genetically-engineered orphans who are raised to become the deadliest intelligence operatives the world has ever seen. Their purpose? To help the clandestine Omega Agency achieve its dream of establishing a New World Order. If reader response is anything to go by, Chicago-ites seem to resonate with The Orphan Factory. Not surprising given their hometown figures so prominently in this novel. Reading, writing, and espionage? 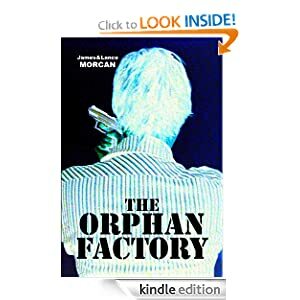 It’s back to school for 23 genetically-altered orphans being trained as cold-hearted assassins as part of the shadowy Omega Agency’s Pedemont project in The Orphan Factory by James Morcan and Lance Morcan. 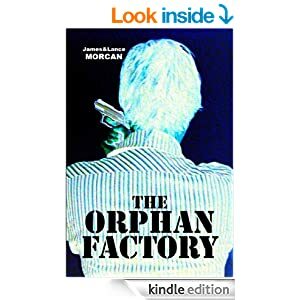 Beginning in a Chicago warehouse in the 1970s, this prequel to the Morcans’ The Ninth Orphan recounts the origins of Number Nine, the spy who will eventually rebel against Omega and live life on the run. The inclusion of actual events (such as the Jonestown massacre and Bill Clinton’s presidential election) lends authenticity to the story, while the ease in which they are manipulated by Omega shows that seeing is not necessarily believing– an eerily relevant lesson in our media-saturated world.